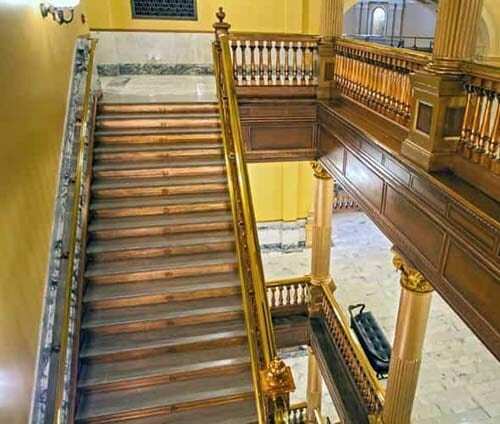 Kansas Statehouse Restoration Project | John Canning & Co. 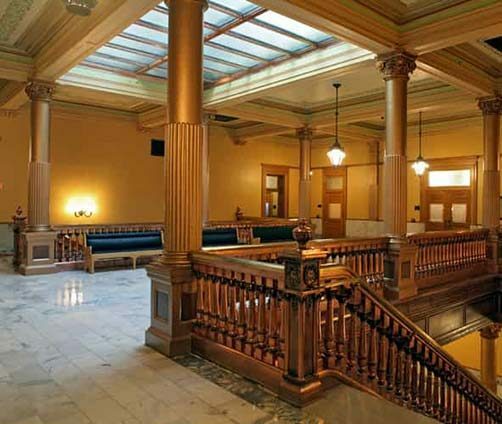 The 14-year phased preservation and restoration project at the Kansas Statehouse was recently recognized as a Traditional Building Palladio Award winner. Treanor Architects was the lead design team on the project and focused on the rehabilitation and reuse of original materials in order to preserve the historic integrity the Kansashouse was known for. 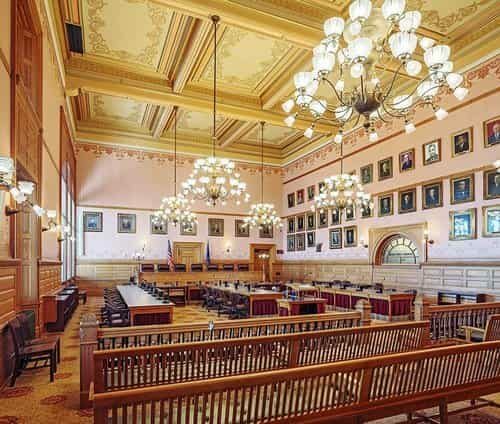 John Canning Studios had the opportunity to work with Treanor Architects in completing some of the plaster restoration in part of the Statehouse. A small part in a large project, we are happy to have had a hand in history and would like to send a congratulations to Treanor Architects on the award!